Home › NFL › What in Tarnation Is Going on in Philly? What in Tarnation Is Going on in Philly? It’s official: Chip Kelly has lost his damn mind. It wasn’t enough for the Philadelphia Eagles head coach to release big-play WR DeSean Jackson last season. It wasn’t enough for Kelly to trade away his best player in RB LeSean McCoy. And trading for the oft-injured QB Sam Bradford was one thing, but re-signing another stiff QB in Mark Sanchez – while trading away a competent QB in Nick Foles – was a head-scratcher. And oh yes, and the racist himself Riley Cooper is still employed by the team (while letting Jeremy Maclin go). So one would think that Kelly would just slow his roll a little bit and focus on the upcoming draft, right? WRONG! For some reason, Kelly gave Tim Tebow a one-year, $3 million contract yesterday. You read that right folks. This was the same Tim Tebow whose QBR is the worst ever among starting QBs. The same Tebow who was (and still is) such a polarizing figure in all of sports. The same Tebow whose presence alone will generate a media circus that I thought had gone away for good. 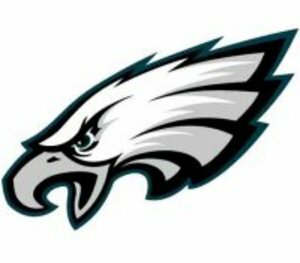 Hey Eagles fans, I wish I could tell y’all that it’s gonna be alright and things should work itself out in the end, but I’d be lying to y’all. Look, it may be a bit admirable for Kelly do things his way in the sense that if he does fail, at least it would be with him doing things HIS way. I’m just saying what’s the point? Why the need for showing players on the team who’s boss at the expense of ridding yourself of your best players? I just don’t get it. And from the looks of things, neither do Eagles fans.